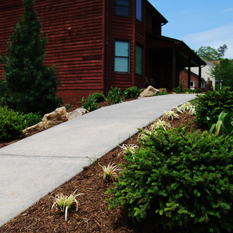 While our company has grown to include a complete range of construction services, our foundation has always been in landscaping. We offer a variety of services to create beautiful designs that will accent the style of your home, and likely boost its value. 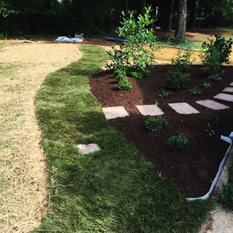 Whether you want to refresh your landscape with new plants, your old beds need to be renovated or you want a whole new look, Back to Nature Landscaping & Construction can deliver the landscape you’ve always wanted. Read about the Back to Nature design process or scroll down to learn about the landscaping projects we can create for you. We also add new projects to our lawn maintenance and landscaping portfolio, why not check out some of our latest work? While the immediate results from a new landscape are amazing to see, it’s important to plant for the future, as well. Plants grow and fill out and spread over time. 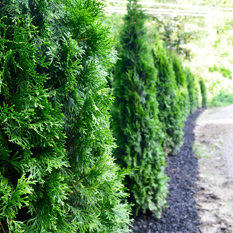 Our team of experts have the knowledge to plan accordingly for the proper plants to minimize maintenance, create a natural privacy fence and keep your landscaping looking great for a long time to come. Are your existing flowerbeds more populated with weeds than flowers? Are they overgrown? It can happen quickly! Let Back to Nature restore your flowerbeds to their original beauty. We can even redesign them completely if you want to update the look of your yard. Whether we refresh or reconstruct your flowerbeds, we’ll do so with the goal of minimizing the maintenance work you need to do to keep them looking great. 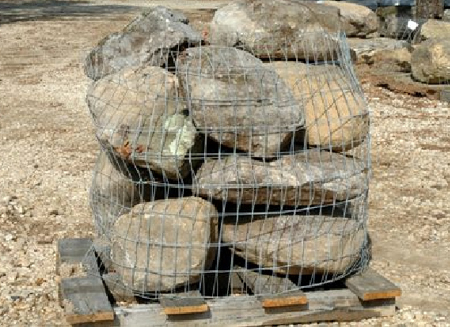 Boulders[/caption]We have a wide range of stone products you can choose from as functional aspects of your landscaping such as steppers to accent pieces like boulders. Take a look at our current stone offerings and contact us for a quote.